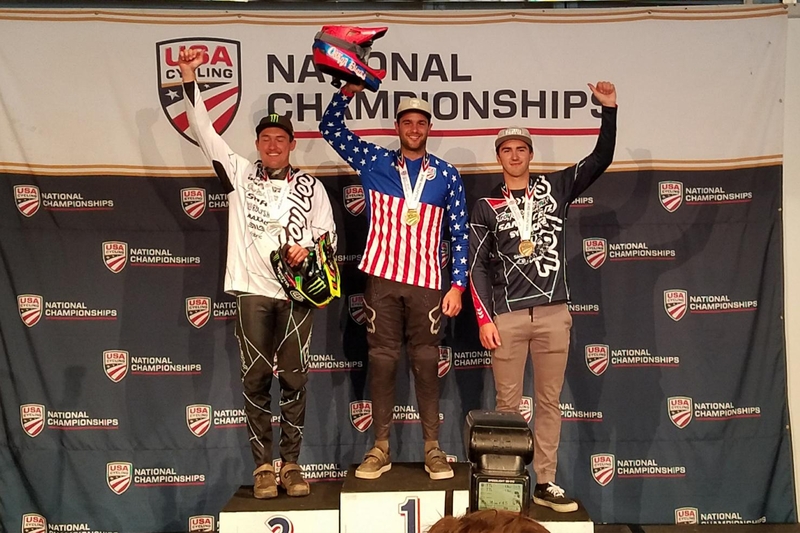 For the 2nd time in his career, Neko Mulally will be wearing the US National Flag on his left sleeve as the reigning US National Champion, a title he collected yesterday at the Snowshoe resort in West Virginia. With reigning National Champion and team-mate Aaron Gwin out with his thumb injury, Neko was determined to keep the title in the YT Mob family, and set the tone early with a strong qualifying run in slippery conditions. As Sunday rolled around, the weather was better than expected and the track was running faster for the men’s finals. Neko was confident in his speed and ready to try for the win. Crossing the line as the last man down, Neko finished with a time of 3m 11.12secs, nearly half a second up on Charlie Harrison, with Luca Shaw 3rd. Really happy to take the win today, especially with the strength of American riders at the moment, it’s an honor to win and now wear the Stars & Stripes for the next 12 months. Having the full team set up here, with support from the mechanics, my family and friends, well it meant I put a lot of pressure on myself to do well and deliver the win. I was really proud to do it and cross the line last man down with the fastest time. 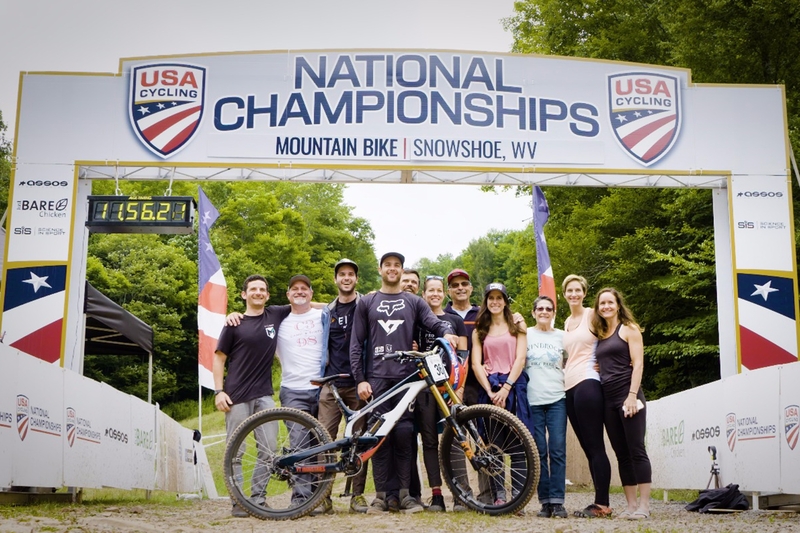 Neko won his first National DH Championship in 2011 when he was in fact junior aged, but rode faster than all of the juniors and elites, so US Cycling awarded him the Elite Title. He’s also won an Elite National Slalom Title. Neko’s next race will be the US Open on August 5th at Killington, Vermont, a race he really enjoys and is the defending champion from 2017.